The Benefits of Garlic oil are very numerous and very important for the health so that each person must know them because garlic and garlic oil contains many elements beneficial to health. The man in general and the skin and the hair in particular, The oil of the garlic is a magic oil especially for the skin and the hair. The iron in the garlic helps to get more blood to the scalp and you certainly know the meaning of the arrival of more blood on the scalp. How to use garlic oil for hair? If dandruff makes your life miserable then you can start adding garlic oil to your shampoo. Garlic essential oil is rich in sulfur that helps soothe irritated and inflamed skin, providing relief from the typical itching caused by dandruff. Among its many virtues, garlic is also an excellent natural remedy against hair loss. With its concentration of vitamins, minerals and trace elements, garlic will work miracles on your hair. For a good fall arrest solution, chop 5 cloves garlic peeled into a container. Add 50 ml of olive oil then mix and let stand for 2 days at room temperature. Before shampooing, apply this on the scalp and lengths, massage and let stand for 30 minutes. Then proceed to your usual shampoo and rinse well. Garlic on your hair will restore vitality to the bulbs, stimulate the shoot and prevent their fall. In addition, it will cleanse your scalp with its antibacterial properties and limit the appearance of dandruff. Apply garlic essential oil to the scalp, gently massage the scalp so that the bloodstream can provide the nutrients to the hair in the best way and the nutrients are absorbed deep into the scalp and hair roots, helping to reduce hair loss. Wash your hair well with shampoo. Use this measurement positively for 2 to 3 months and you will see the result. Keep the garlic cloves in a bottle of olive oil for a week or two to treat hair loss and promote growth. Apply the oil obtained on your hair and scalp at night before falling asleep. Wash your hair the next morning. The easiest thing we usually change for hair growth is the shampoo. Add garlic oil to your shampoo and then use it on your hair. Honey is an excellent conditioner, you can add garlic oil to honey. Honey will nourish your hair and garlic promotes hair growth. To reduce the odor, you can add ginger, which also has great minerals to nourish your hair. Note: Do not use garlic shampoo more than twice a month, excessive use will dry your hair and scalp. Garlic has antimicrobial, disinfectant and bactericidal properties that help eliminate germs and bacteria that cause scalp damage. Bacteria can live on many surfaces, in the air and in the water, and in or on our bodies. One of the benefits of garlic for the hair is that it eliminates the harmful bacteria that reside on our skin, our hair, our mouth. Raw garlic is known to be rich in vitamin C, which is great for healthy hair. It stimulates the production of collagen, a substance that helps stimulate hair growth. Vitamin C helps with collagen in the body, a component that is essential for hair growth, hair maintenance, and hair fiber resistance. Garlic also helps clean the hair follicles, strengthening them and preventing clogging, further slowing down hair loss. Garlic provides the proper nutrients to the scalp and hair follicles thus directly contributing to a better condition of the scalp and stronger hair. Garlic helps calm the damaged scalp and treat problems such as dandruff. The dryness of the skin and the infections lead to itching of the scalp thus causing dandruff. As mentioned above one of the benefits of garlic for the hair is that it is rich in vitamins and minerals, so it is an excellent herbal remedy to eliminate dandruff and soothe an irritated scalp. Garlic helps with the fight against hair loss, and that by just rubbing the bald areas of the scalp with a clove of garlic. Garlic is one of the commonly used ingredients for the treatment of hair loss, for the prevention of severe hair loss, and for the stimulation of hair growth. Garli is packed with essential nutrients and antioxidants known for its anti-acne properties. Thanks to these anti-inflammatory agents, garlic also helps to soothe skin and acne properties. Indeed, one of the benefits of garlic for the hair is this anti-acne property removes toxins from the scalp thus improving the texture of the hair and strengthening the hair roots. 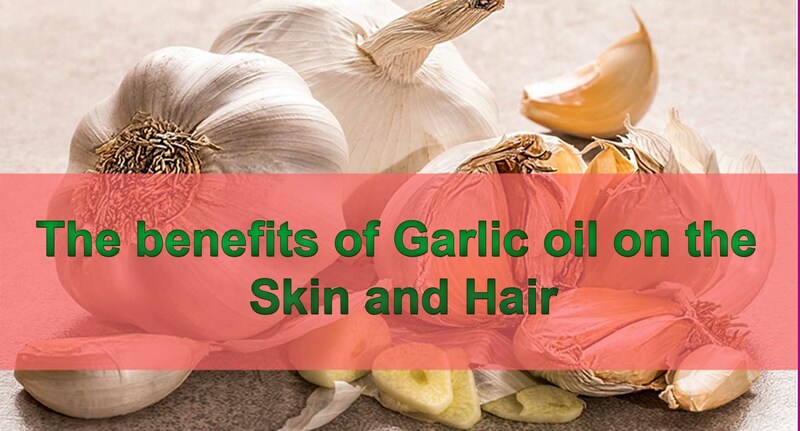 The benefits of garlic for the hair are numerous and proven. The consumption of garlic and its external use helps with the growth and renewal of a thicker and stronger scalp. The popularity of superfood is well founded in its benefits on the skin, hair, heart, brain and immune system. Garlic is a natural lotion that contains many active substances and benefits to the human body, so it has many benefits on the skin whether your skin is oily, normal or dry. Garlic contains a large amount of allicin that is resistant to fungi and helps fight premature aging of the skin and increase skin freshness. 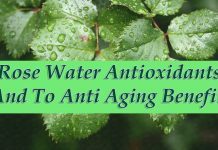 It fights wrinkles and helps you soften your skin. How to use garlic oil for the skin? Garlic oil acts as an excellent natural remedy against skin blemishes. Garlic contains allicin, selenium, zinc, copper and vitamin C, which are perfect for boosting the health of your skin. Combine a few drops of garlic oil with a packet of clay and applying this mask on your face for 10 to 15 minutes, you will see wonders. Know that garlic reduces the production of fat, which has the effect of strengthening your skin and make it cleaner. For this mask, you need a clove of peeled garlic, white clay, honey, and water. Start by crushing the clove of garlic in a container, mix with garlic 2 teaspoons of white clay and 2 teaspoons of honey. Moisten with a little water to get a paste. The white clay will prevent the appearance of wrinkles and restore vitality to your skin. Honey, meanwhile, contains anti-aging, moisturizing and antioxidant properties. 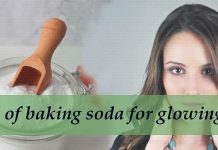 In addition, it facilitates the regeneration of your skin. Apply it on the whole of your face. Let it sit for 15 minutes for this garlic mask to penetrate your skin well and rinse thoroughly with clear water. This mask is perfect for combination or oily skin and can be applied up to 3 times a week. Garlic oil helps suppress the growth of harmful fungi on the skin. The application of garlic essential oil to the areas of the skin affected by fungal infections helps to speed up the healing process. 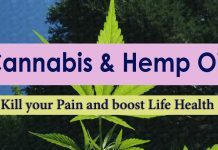 It can also help relieve itching, ringworm, athlete’s foot, and other common fungal infections. Garlic essential oil is effective in getting rid of warts. Usually, when we apply raw garlic on warts, we must ensure that it does not touch the remaining skin as it can cause burns in many people. But when we use garlic oil, it is very safe and helps to get rid of warts quickly. To use garlic oil to remove warts, mix 3 drops of garlic essential oil in a teaspoon of coconut oil and using a cotton swab, apply the mixture on wart two times a day until she falls. How to prepare garlic oil? You can buy garlic oil in pharmacies and perfume shops, but you can also prepare it at home by dipping garlic cloves peeled in hot olive oil and then leave this mixture in the refrigerator for a week or more. Then the oil is filtered from the garlic and thus becomes ready for use. Garlic oil should be kept in a sealed container in the refrigerator. Avoid the use of garlic oil during pregnancy and breastfeeding, and if you suffer from an allergy to any of its components, or when taking certain medications. In addition, you must be careful when using it in the case of diabetes, or if there are problems in the stomach and colon. Consult your doctor first.